Lotus is turning 25! 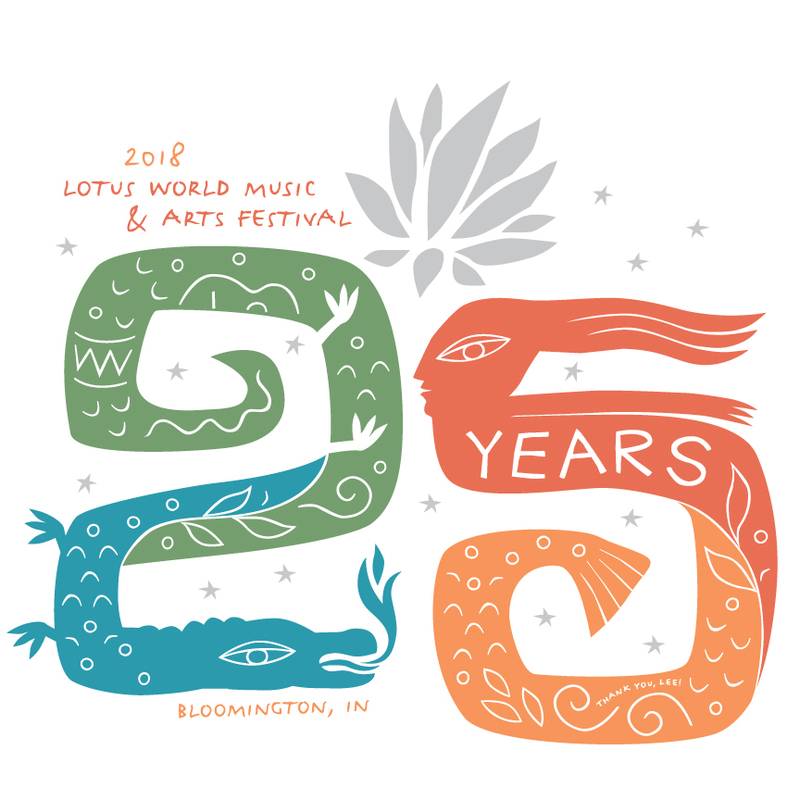 The Lotus World Music & Arts Festival is one of the oldest world music festivals in the U.S. and the only festival of its kind in the state of Indiana. Now celebrating its Silver Anniversary, Lotus Festival attracts more than 12,000 people to downtown Bloomington each fall, for four days of music and arts from around the globe. In addition to more traditional concerts on Thursday and Sunday, the Festival transforms downtown Bloomington on Friday and Saturday nights, creating a 10-block pedestrian-friendly perimeter and filling 6-8 different venues simultaneously with music and dance. Venues include a range of public spaces, from large outdoor tents perfect for dancing, to family-friendly city parks for interactive workshops, to intimate churches and art spaces suited for attentive listening and contemplation.